NO QUIRKY DESIGN OR MATERIALS HERE THANKS. JUST SOLID DESIGN AND ENGINEERING. 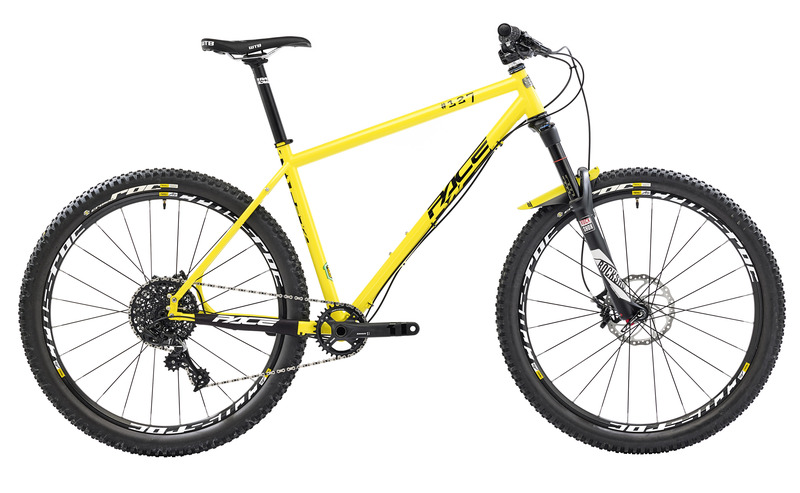 We weren't going to hurry the design of something as important as a Pace hardtail given the multi test and award winning heritage of our bikes so although our prototype RC127 was winning awards three years ago we've refined it again and again to create the ultimate involving, rewarding trail bike. That's meant adjusting the geometry to embrace the latest super short reach stem preferences of progressive riders. Working with some of the best of the North's Enduro racers also saw us drop the bottom bracket and relax and the head angle for increased full gas, flat out stability. Tubing was tweaked to ensure muscular strength in the mainframe to keep the front wheel on target but a forgiving, vibrant vibe out back to save you back ache and burst tyres. We added our unique and original Slideouts for singlespeed chain tension and micro geometry adjustment. It's ready for dropper posts and ISCG chain guide mounts and it'll take up to a 150mm travel fork without flinching. The RC127 is engineered from high quality British Chromo tube to give that wonderful spring to your ride. No other material can quite match the characteristics ad the phrase 'steel is real' is as true as it ever was. Of course you'll be riding your tough and durable RC127 for years to come given the amazing fatigue properties of steel. 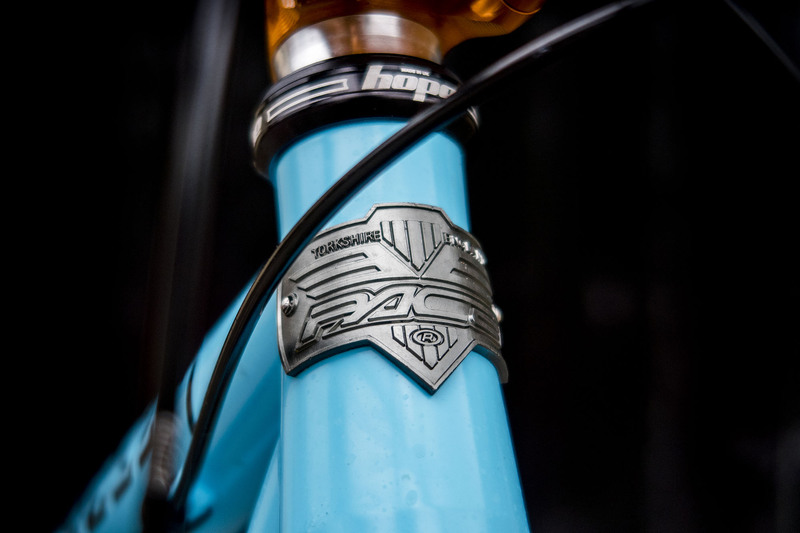 We've also subtly added gussets here and there to add that that additional bit of re-assurance to those high load areas like the underside of the head tube, drive side chain stay and top of seat tube. 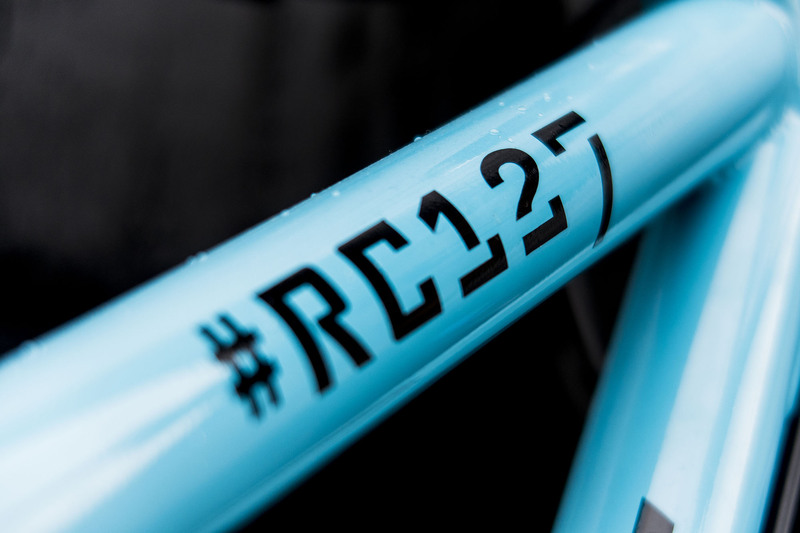 The RC127 frame also features graceful curves and tucks to the chain and seat stays to give that extra clearance where needed, plus we've added full rear rack and mudguard mounts and for those who fancy a bit of back country tour and need to load up the panniers. Most of all though we designed it to get the best from our landscape and take you on a fantastic ride wherever you're going. Taut and responsive when you want to get the moorland miles in or charge between man made berms. Tough and controlled enough to be the last thing you're worrying about on a rocky, rooty, ragged edge descent. Forgiving and friendly enough to carry you home exhausted but exhilarated with the warmth of a Sutton Bank sunset on your shoulder. You'll get ISCG tabs as standard so should you want to fit a chain retention devise or bash plate your good to go. Slideouts have been a unique feature on our steel frames for years now and they're a proven way to give you the convenience of replaceable mounts with built in adjustment. CNC machined from 6000 series aluminium this is a well proven design that actually offers more than first meets the eye. The slide outs both bolt into the frame using our unique stainless steel 'T-NUTS' and should be run in full forward position to bring out the most active and urgent riding quality of the bike. 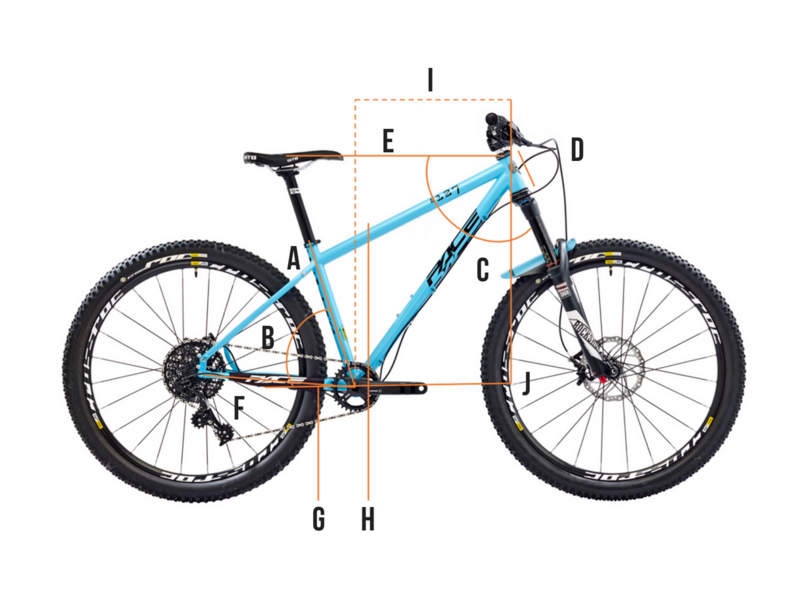 Should you want to move the slideout rearward to increase wheelbase or run the bike as a singlespeed then the disc-side has an adjuster screw that penetrates right inside the slide out helping to counteract the rotational load under braking. Meanwhile the drive-side has a push screw design to hold the slideout back as the chain tries to drag it forward. All clever stuff explained in more detail inside the manual. To protect your frame for the long haul each frame has a corrosion protective ed black coating beneath the twin-pack epoxy and satin lacquer coats and we've chosen to fit the decals on top of the clear coat rather than under the lacquer so you can easily change the decal set and choose a different colour anytime in the future. 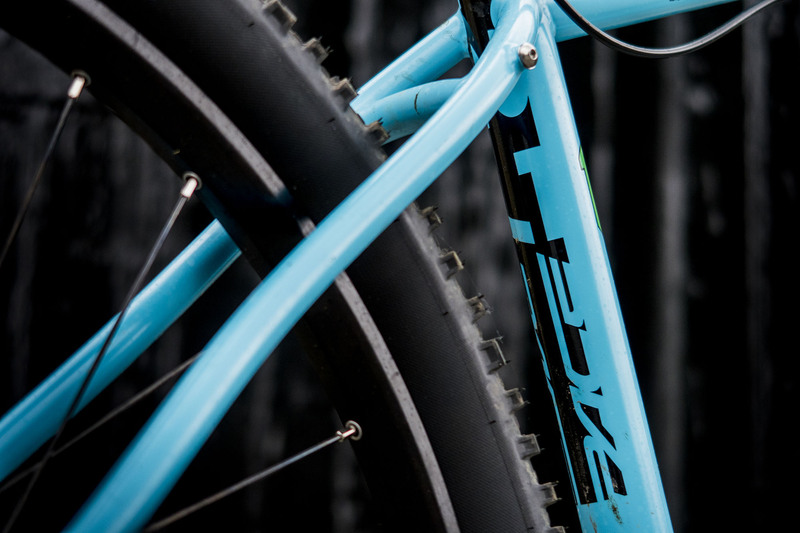 We wanted a real connection, warmth and visceral working relationship with the trail & steel delivers like no other material. After years of riding and comparing different materials we realised - through projects like our fully rigid singlespeed RC129 - that we were only going to get what we wanted one way. Through the highest quality 853 steel tubing from Reynolds blended with our own custom drawn chromoly. Choosing the right build for your Pace brings out it’s best performance & character plus it reflects your needs and personality too. So we offer choice of 3 Build Kits. We work with all the best brands and only use the latest model year parts. Fancy building your own Pace? Our frames include DT RWS rear thru axle, Pace CNC machined seat clamp & Pace neoprene chainstay protector. If you are in need of any extra parts like a headset or fork, just give us a call. 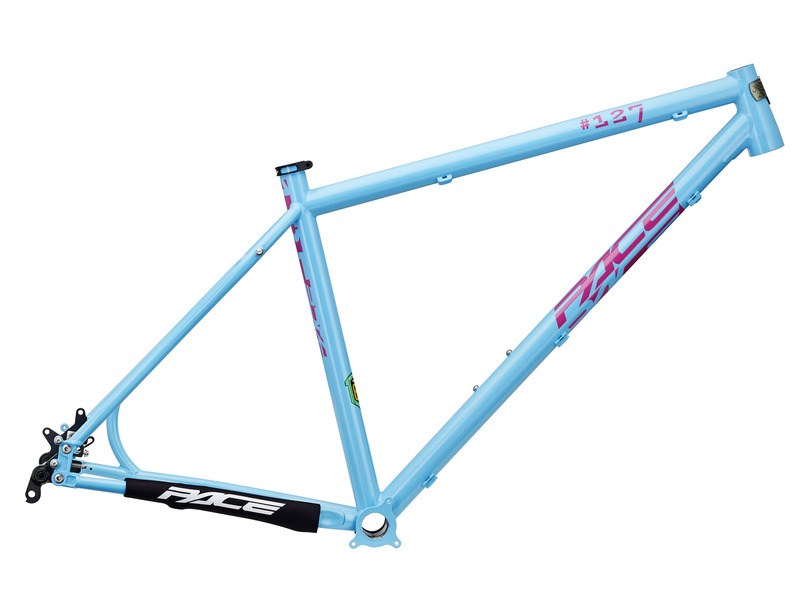 Price is for frame only //Includes DT RWS rear thru axle, Pace CNC machined seat clamp & Pace neoprene chainstay protector //Complete bike builds available from £2229, or if you would be interested in a custom build or extra parts please email sophie@pacecycles.com. HYDRAULIC HOSES: Internal dropper seatpost routing. OR DESIGN YOUR OWN DREAM BIKE? techniques into account but geometry is certainly the hot topic right now. CAN I FIT A FRONT MECH? Yep - the RC127 has all cable stops and guides included. CAN I CHOOSE MY OWN FRAME COLOUR? Yes you can, please choose a RAL colour online and we will give you a quote. 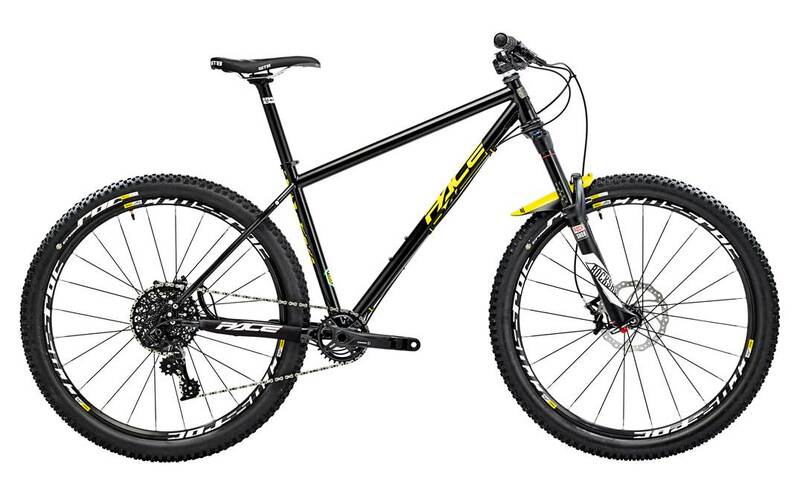 WHAT IS THE WHEEL SIZE: 27.5"
WHAT TRAVEL IS THE FORK: Tapered steerer 130 to 150mm. MAX TYRE SIZE: If your a run a wide rim like a 35w then we recommend no bigger 2.35". If you run a Hope Enduro you might be able to get away with a 2.4 but depends on the actual tyre. Enter your email address to get new bike or product announcements, news from Pace and more. We only email you when there’s something really, really good happening.